In Britain, the lives of a unique class of craftspeople revolved seasonally around woodland work and the practice of coppice forestry. 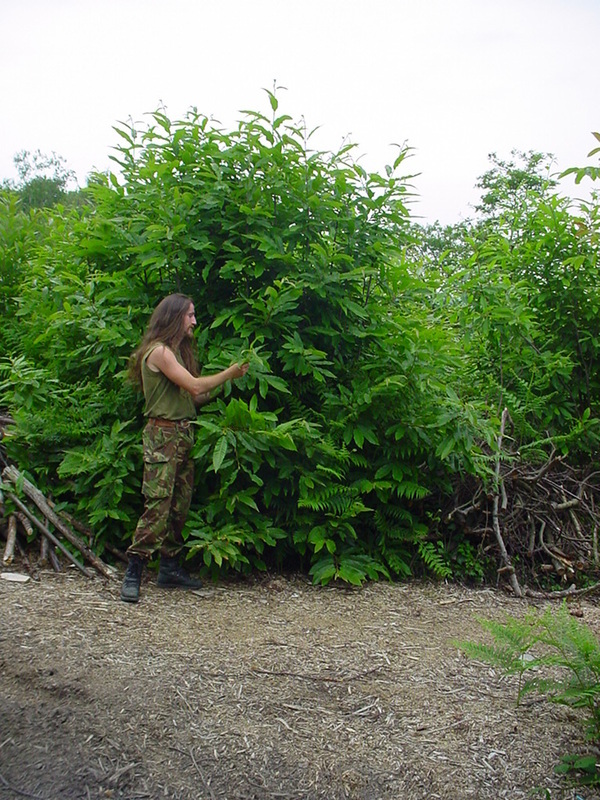 Coppiced trees are during the dormant winter season and the harvested product used to make a range of useful items including fuel, fencing, furniture and building material. In the spring, the undamaged root systems of these trees resprout and a copious supply of new shoots begin to grow. 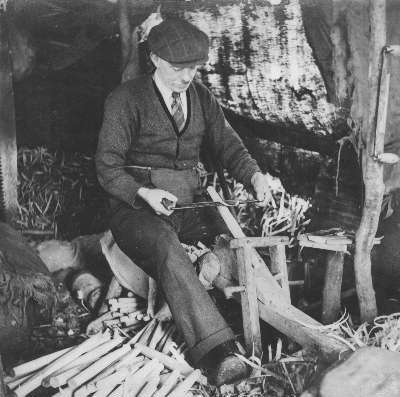 These craftsmen and their families lived a semi-nomadic life, each winter moving into a new section or ‘cant’ of coppice woodland, cutting the standing timber and transforming the raw material into their particular product or craft. These workers bid on the seasonal use of uncut cants owned by noblemen. 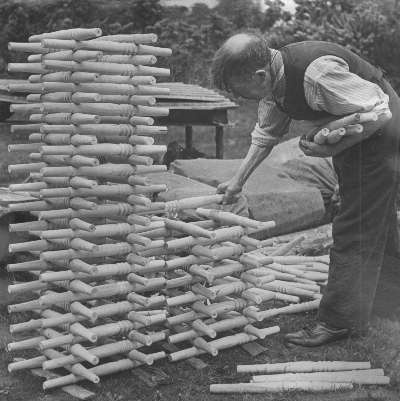 Some of the better known crafts include hazel sheep hurdles, charcoal making (essential for early industry) and bodging (chair part production). American colonists brought their woodworking traditions with them to the New World. These industries formed the backbone of early American settlement. Chair and furniture making, cooperage (barrel making for wet and dry goods storage and transport), wagons and agricultural implements, timber frame construction and charcoal making all contributed to the expansion of the young American nation and massive deforestation of the remarkable old growth forests of eastern North America. 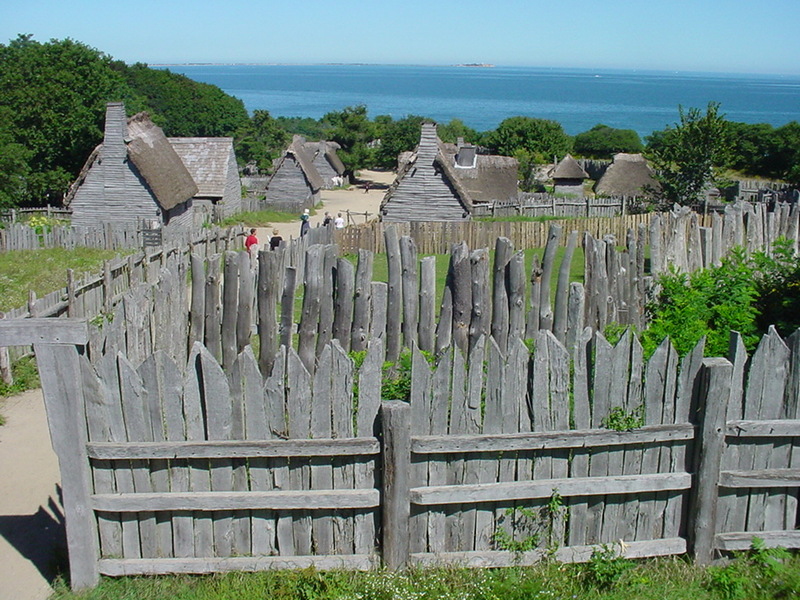 Plimoth Plantation in Plymouth, MA, is a modern reconstruction of the early Pilgrim settlement. Virtually the entire built infrastructure of the village is made from riven white oak, even the cladding on the buildings. During the industrial revolution, these traditional crafts began to face competition in terms of production and efficiency. By the Second World War many of these traditional crafts had effectively vanished and were nearly lost forever. In 1978, Jennie Alexander wrote a book called "Make a Chair From a Tree: An Introduction to Working Green Wood" that helped resurrect the craft of traditional, ‘green’ woodworking. Her experiments with turning green wood, led jer to research the use of unseasoned, riven wood in craft work. This book provided an invaluable resource for modern green woodworkers. British green woodworker Mike Abbott has done much to restore his nation’s bodger tradition, writing books and teaching workshops on chair making and the use of the spring pole lathe. Since then a number of books and schools focused on traditional woodworking and craft have sprung up throughout the eastern US and Great Britain. For a list of contacts, visit the links page.